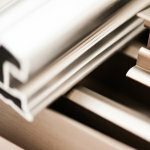 Alloy selection plays an important role in your aluminum extrusion project. 6063 aluminum is the most popular alloy for extrusion and so it is a natural consideration. This alloy is widely used in architectural applications. Because of this, it is often referred to as architectural aluminum. It is a medium strength alloy, which is used for applications such as railing, window frames, door frames, roofs, balustrading, sign frames, shop fittings, irrigation tubing, building products, electrical, marine, piping, recreation equipment, storage tanks, truck frames & trailers. 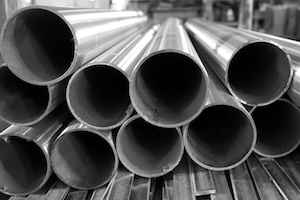 This alloy is often extruded in tubing and channels for use in architectural projects. This alloy features medium strength, with good corrosion resistance, weldability, and workability. It also is fairly machinable. Download a PDF of its characteristics and material properties. By tempering this alloy, greater strength can be achieved. Some of the most common tempering options for this alloy are T5, T6, and T832. Here we can see the density of the alloy. Note that there is no difference in density between the T5, T6, and T832 tempers. Here we can see the tensile strength, yield strength, and modulus of elasticity for both the T4 and T6 tempers. Here we can see some thermal properties of the alloy including the coefficient of thermal expansion and thermal conductivity. The T5, T6 and T832 tempers are included. Note: The material properties above have been pulled from Matweb, here, here, and here. Please note that they cannot be 100% verified. Now, you may be wondering about the composition of the 6063 alloy. This alloy is part of the 6000 series of alloys. As such, its major alloying elements are magnesium and silicon. 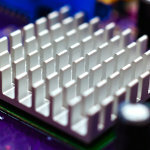 Magnesium is added to increase strength, while the silicon is added to reduce the metal’s melting temperature. Here we can see the guidelines for the chemical composition of 6063 aluminum. Now that we’ve seen the chemical composition of 6063, let’s talk about how the alloy compares to some other key options. The 6063 alloy is the most common for extrusion, but you may be considering other options for your particular application. Below are some other common alloys that are often considered as alternatives. These two alloys are the most popular for extrusion, with 6063 occupying the number one spot and 6061 aluminum in position number two. Both are part of the 6000 series and are alloyed primarily with magnesium and silicon. As such, they possess many of the same qualities. They offer similar corrosion resistance, weldability, and workability. They can both be used in a wide variety of applications. One key difference is that 6061 is the stronger of the two, and in the T6 temper its strength is approximately equal to structural steel. As such, it is often used for structural applications. One advantage of 6063, on the other hand, is that it’s easier to form into complex shapes with smooth surfaces. It is also very suitable for anodizing. 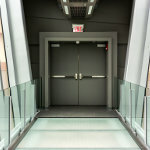 Download our PDF on 6063 aluminum properties to keep as a reference. 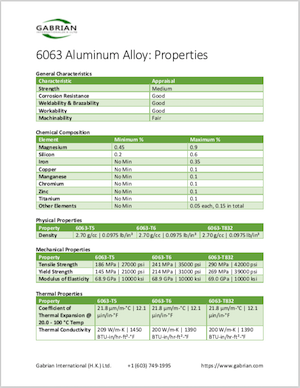 General characteristics, properties, and chemical composition of 6063 aluminum.